The legend of Walt Disney is its 63rd year... 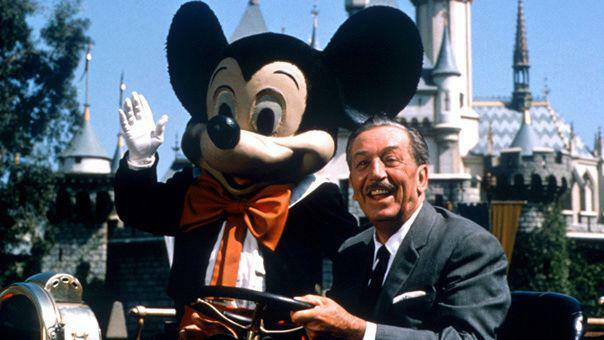 Here are strange facts about Disneyland! Disney City Disney Land World celebrates its 63rd founding anniversary today. The Disneyland concept began when Walt Disney visited Walt Disney Griffith Park in Los Angeles with his daughters Diane and Sharon, and while watching the children riding around, he reached the idea of where adults and their children could go together. Walt Disney realize a baby girl's wish who has conducted 23 heart surgery. At first, Walt Disney created an entertaining place in his studio in Burbank, but the place was narrow for his project, and he hired a consultant to help him find a suitable place for him. Anaheim has been identified in California as a new place and really construction started in 1954 and the inauguration was on July 17, 1955. Disney stars between the past and the present.. Where they went with their childhood and innocence! Disneyland California: July 17, 1955, is the only park designed under the direction of Walt Disney's owner. Disneyland Florida: October 1, 1971, the largest recreational resort and park around the world. Tokyo Disneyland: April 15, 1983, the first park and recreation resort based outside the United States of America. Paris Disneyland: April 12, 1992, the second amusement park for Disney outside the United States of America. Disneyland Hong Kong: Dec. 12, 2005, is the fifth branch of Disneyland Park and resort in the world. Some strange facts about Disneyland! There are tunnels going through the city of games that allow employees to move from one place to another easily. Plants in the Land of Tomorrow Tomorrow land are all edible plants. There is a fake pet cemetery hidden behind the Haunted Mansion. In a game of cups or roller cups, the purple and orange cups are the fastest spin. The decorations and inscriptions on the Small World ride wall are made of 22 carat real gold. There is a basketball court in the top part of Matrohorn. Live about 200 stray cats in Disneyland to keep the city free of rodents. The water in the aquatic games is either brown or green to cover the electrical wires below. The Haunted Mansion is inhabited by 999 ghosts. Disneyland has known the birth of 3 children within it during their mothers ' wandering. Chewing gum in Disneyland is not sold in order to keep the floor clean. The gates and concrete walls located on the beginning of each section of the city look a bit shiny, because because Disney has done a search with Kodak, and they found that its color grades and the gloss in it gave better images.